British tuner has revealed their latest creation and the fastest Jaguar on the road – the Arden XKR AJ20. While Arden engineers were testing the AJ 20 on the ATP Papenburg, they achieved a top speed of 305 km/h (180 mph), making it the fastest Jaguar currently on the road. Arden engineers increased horsepower by a total of 60 horsepower by fitting the 4.5 liter V8 engine with a crankshaft for a total of 480 horsepower.Arden also added body modifications to give the XKR a more aggressive loon and in order to increase aerodynamics.Arden rebuilds this eight-cylinder engine from scratch and sharpens the claws of this big cat by increasing its displacement. The displacement increase to 4.5 l is achieved by fitting a crankshaft specially produced for Arden, along with new con rods and pistons. Arden elicits an impressive 480 bhp / 353 kW and an awesome torque of 640 Nm at 3.850 rpm from its supercharged 4.5 l V8 engine.The Arden body modification underlines not only the powerful character of the Arden XK AJ20 but it also increases the aerodynamic efficiency of this real sport car. 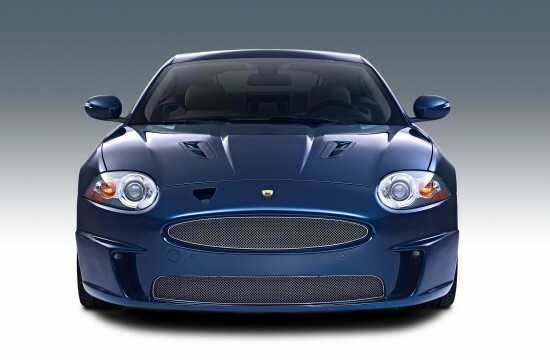 The aerodynamic was intensively tested and optimised in the wind tunnel with the effect of a better air drag coefficient combined with higher down force for superb handling.While testing the AJ 20 on the high speed course at ATP Papenburg a top speed of 305 km/h makes the XK AJ 20 Coupe the fastest Jaguar currently on the road.